hay does anyone know where to get a replacement bolt seal for the pps k98 mine fell out the last time i was playing and know it wont work look at the photo of the bolt the little rubber hole behind the gas valve is what im looking for . 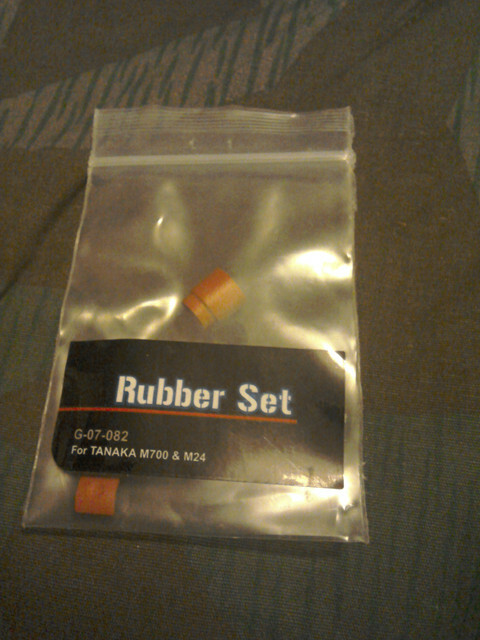 You want the G&G Rubber Set for Tanaka M700 M24 Kar98. I got one from firesupport a while back but a lot of suppliers have them. and it is the replacement for the bolt and mag gas connector? Yes the red silicon vent seal to take the gas from the mag into the bolt. It also comes with two other bits for other rifles. Not sure what they're for. I managed to damage mine and this was a perfect replacement. ya i found them for sale around 15 to 25 depending the shorter piece is for the rifle ya?